The only ray of hope for people with chronic intractable disease conditions presently is through the use of stem cell therapy. Unfortunately however, this comes with its own share of controversies over ethics of the origins of these cells. 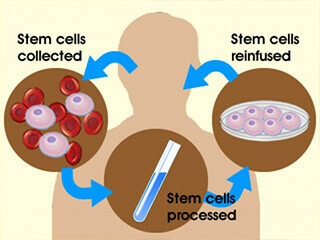 Though a lot of research is going on globally, there are still only a few approved clinical uses of stem cell therapy. Application on many other disease conditions is still in their nascent stages and will need time. There are only a few approved researches and treatment centers in India, one such is the much-awarded Plexus Neuro and Stem Cell Research Center in Bangalore, which has been making leaps and bounds in this area. Stem cell therapy is in itself a relatively new field that needs greater boost from the government to propel it forward and make it available to patients who don’t have any hopes of recovery so that they can finally have easily accessible treatment within their own country. Though there is a lot of biomedical research going on in India, what is needed currently is an effective network amongst the institutions, and trained manpower to guide them and build partnerships with large companies to provide path-breaking treatments aimed at untreatable conditions. There should be more institutes dedicated to this field with its inclusion into the medical curriculum at a larger scale. This would encourage students and young scientists to take greater interest and create the required mass impact in this field. The potential in this form of therapy resides in the potential ability of stem cells, which are primal cells of all multi-cellular organisms, to differentiate out into a wide range of specialized adult cells through cell division. There are two sources of stem cells: autologus and allogenic. Autologus stem cells are derived from the same person through the use of their stored umbilical cord blood cells or through their bone marrow cells. Allogenic stem cells on the other hand can be derived from bone marrow, peripheral blood (venous blood), umbilical cord blood, related family donors or from HLA-typed or un-typed unrelated donors. By virtue of the knowledge of the self-renewal ability of stem cells, a lot of energy and research is going into the field of organ regeneration and transplantation as well as into replacement of tissues such as skin and muscles after damage and burns. As regulators of the stem cell multiplication at both the genomic and proteomic levels have been identified, it’s become easier to control stem cells culture in vitro in the artificial conditions of the lab. In developed countries, they have already become a therapeutic option for many disease conditions, but the developing countries are still lagging behind. In India, progress has been established on many fronts, but a lot of work is still required to bring it to the mainstream level.